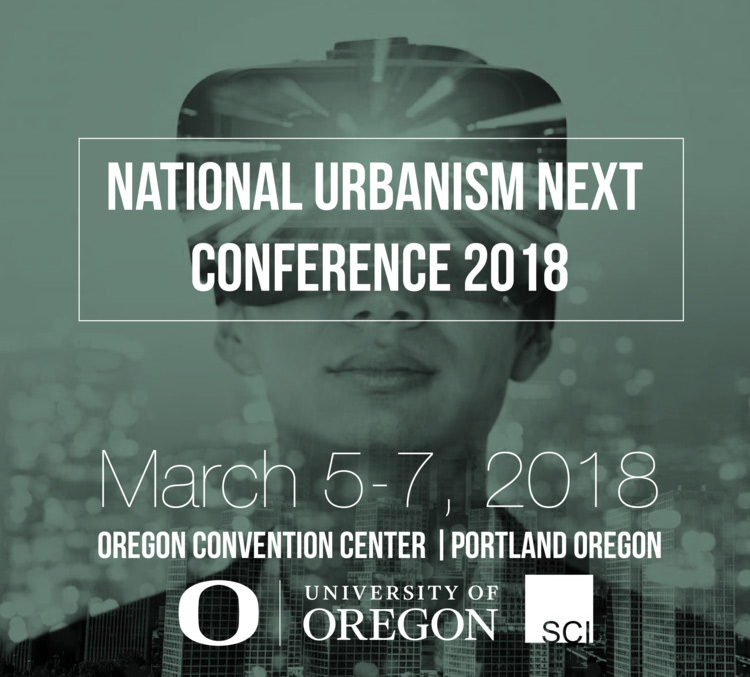 This March, participants from academia, architecture, planning, real estate, government, and related fields will gather in Portland for the inaugural National Urbanism Next Conference. Urbanism Next is a University of Oregon research initiative focused on understanding how new technologies such as autonomous vehicles, e-commerce, and the sharing economy affect land use, street design, land valuation, and pressures on sprawl—and in turn—examining how these issues influence equity, economy, and governance in communities. The conference will be a first-of-its kind opportunity for stakeholders to come together to engage in a national conversation about how cities can best prepare for the dramatic changes these emerging technologies create. The UO is partnering with the American Institute of Architects, the American Planning Association, the American Society of Landscape Architects, and the Urban Land Institute to present the conference. The event takes place March 5-7, 2018, at the Oregon Convention Center in Portland. Congressman Earl Blumenauer, Robin Chase of Shared Mobility Principles, and Jeff Tumlin of transportation consulting firm Nelson\Nygaard will be among the speakers. On the second day of the conference, participants will have an opportunity to engage in any of 17 interactive workshops that each focus on a unique aspect of the challenges and opportunities presented by emerging technologies. Find a detailed schedule of presentations, workshops, and other conference events at urbanismnext.com/schedule. Registration is open now, and special rates are available for students and academics. Visit the registration page for additional details and to complete registration. Urbanism Next is a cross-disciplinary collection of faculty, staff, and students utilizing the expertise of the UO to positively influence policy and community practice around the United States.